When Swale announced last year that they were nearing completion of their second full-length album, The Next Instead, I considered the news with a mix of delighted surprise and measured skepticism. After all, the band's first full-length, A Small Arrival, was famously some 37 years in the making. Or maybe seven. I forget which. Point is, Swale move at their own pace, one that has often been glacial. 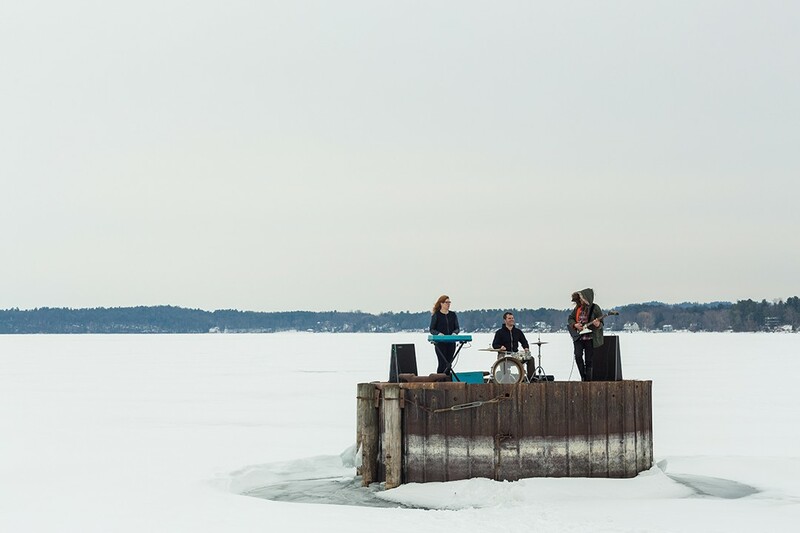 It is fitting, then, that the video for the first song from the new record, "Joyless," almost looks like it was shot on a glacier. The song itself begins as a pretty duet between keyboardist Amanda Gustafson and drummer Jeremy Frederick that swirls into a whiteout of noise and closes on some epic shredding from guitarist Eric Olsen. Oh, and snowballs to the face. The Next Instead is due out later this spring, digitally and on vinyl. For more on the record and/or to contribute to the band's ongoing Kickstarter campaign, go here. JOYLESS by Swale from Swale on Vimeo.